Home > Robin Kruithof, Work	> SharePoint List\Project Workspace list datasheet view edit problem. 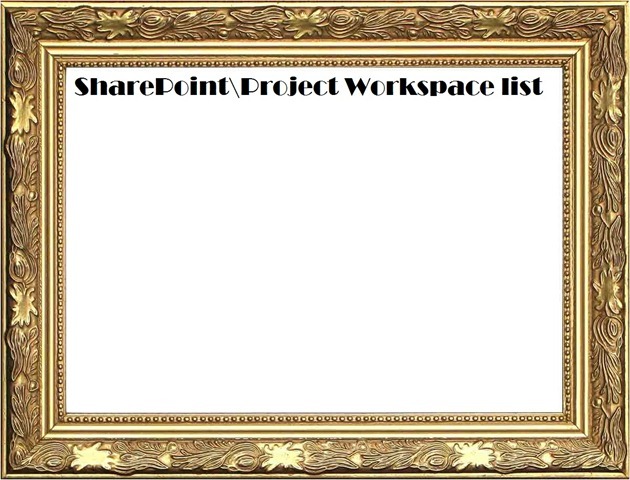 SharePoint List\Project Workspace list datasheet view edit problem. This is a bit more technical post then you are used to. But I find it important to do some of these from time to time. One of my clients had a problem about editing a list in the datasheet view in a Project Workspace. I also seen this issue coming up on the MSDN forums. A good opportunity for me to make a small post how to correct this. In SharePoint 2010 or in this case the Project Server 2010 Project Workspace it is possible to edit a list in the datasheet view. Now my client really wanted to edit the column “Comments” however this was for some reason not possible. The datasheet view didn’t let you edit the column and looked like it was only read-only. Here is what I did to fix this problem. Go to the list you want to be able to edit in the datasheet view. Go to List Settings. 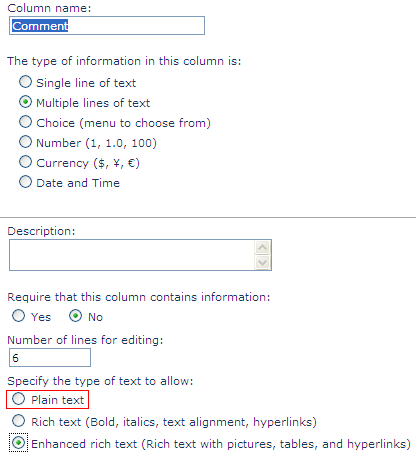 Go to the columns you want to change and edit it. As you can see in the picture below it has been set to enriched text. The only thing you need to do is set it to Plain text. Now go back to the list and go to the datasheet view. Now go to the column you want to edit. As you can see you are now able to enter text. Just a quick fix if you ever run into this problem. This is it for me for now up to the next post Practice makes Perfect Part 4 – Indicators.